It's a dirty job but someone has to do it. Armed with nothing more than pen, paper and an insatiable appetite, we've wined and dined at most of the best restaurants in Tenerife on your behalf. 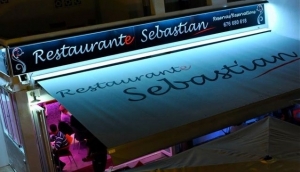 When it comes to restaurants, Tenerife has an enviable variety. From Canarian cuisine to Japanese sushi and traditional British grub up and down the island you'll find a plethora of great tastes and imaginative menus. So whatever whets your whistle, loosen your belt and go enjoy a meal to remember at one of our recommended Tenerife restaurants.